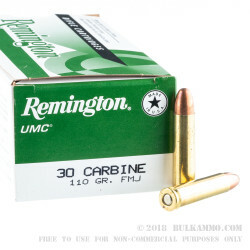 If you are looking for some high quality, American made plinking ammo for your M1 or M2 Carbine, look no further than this .30 Carbine ammo by Remington. 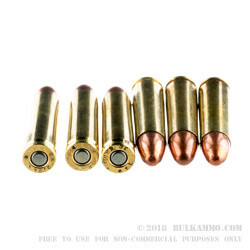 This round features a 110 grain metal case bullet loaded into a non-corrosive, boxer primed brass case. 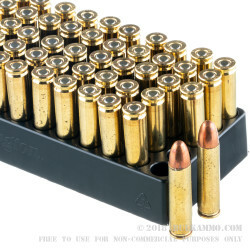 If you are unfamiliar with Remington ammo, their "metal case" bullet is essentially the same thing as an FMJ. This round has muzzle velocity of 1990 feet per second. Remington ammunition is manufactured in Lonoke, Arkansas. 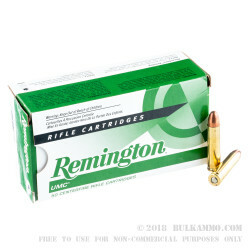 Pick up a bulk case of this .30 carbine ammo by Remington and see why shooters have been trusting Remington for 150 years!